We are going to provide a test within our app with 100 questions. The customer will have to pay for this test. Is it possible to be able to take the test twice once they pay? If I can understand you correctly, you want to allow someone to submit your form twice once he / she paid. Unfortunately, this does not seem to be possible to achieve through the form builder since there is not a functionality to limit the submissions per person, you can only limit the submissions in your form per total number of submissions received, per date or restrict them per IP address. I think it could be achieved by adding some custom code to your app, you will need to save the data in a database in order to check how many times the form has been submitted and verify the payment, but this would need to be done in your app since the form builder does not accept server side codes. If our students receive the test in a link, can they take the test as many times as they would like? 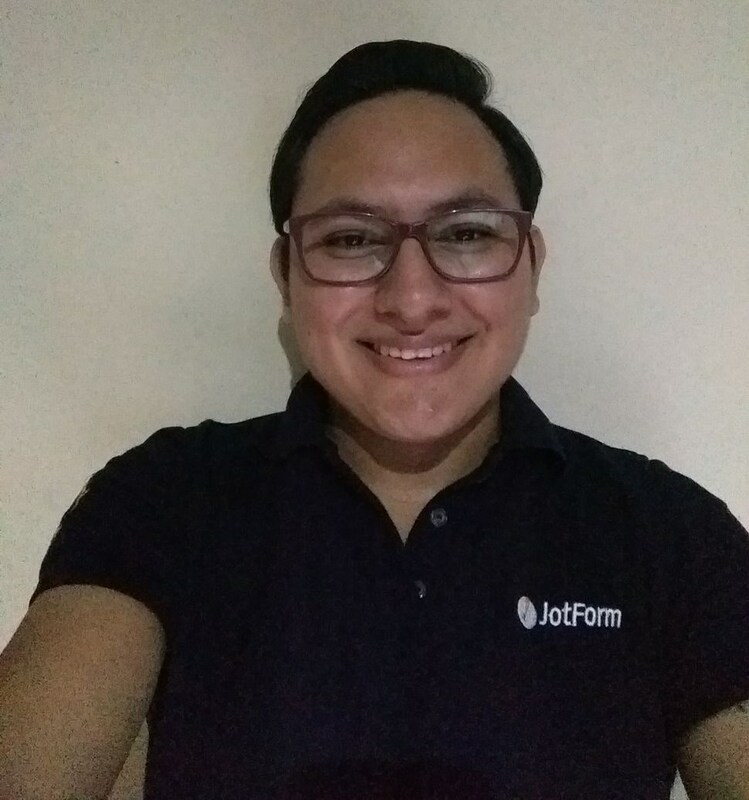 Once the student enters their email address in the jotform test, is that the only person that can continue to take the test or could someone else take the test using their email address? If you could let me know, I would appreciate it. 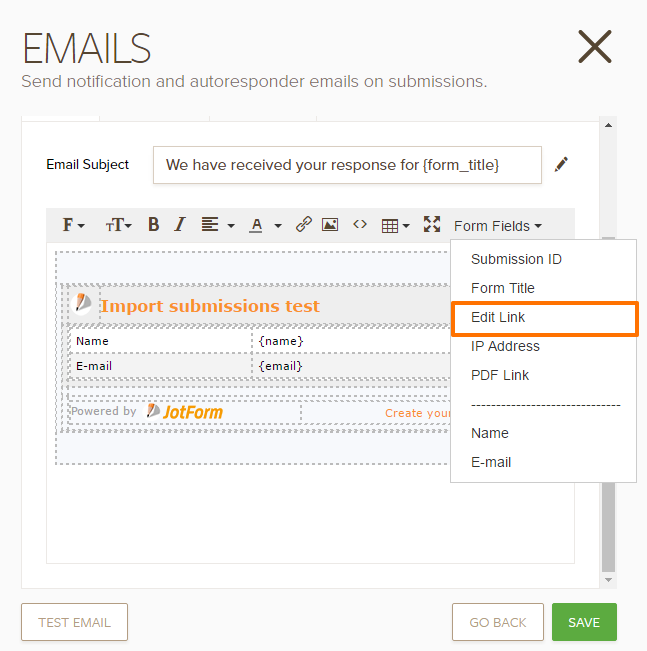 If you are planing to share the direct link to your form, then they will be able to submit the form as many times as they want, but if they open the direct link the submitted info will not be there, if you want, you could set up an email auto-responder to your form so they will receive an email with the submitted data and you can also include there the edit link to that submission so when they open that link the submission will open in edit mode, but do note that they will be editing the previous submission and not doing a new one. This way only the submitter will be able to open the link received and anyone with their email will be able to open it, at least that they have access to the email address and to the emails in that account. I also received an email that my test was submitted, but I did not receive the results to the test. Can you let me know why this is happening. We will assist you on that thread as soon as possible.